On the 6th of February 1976 the 9 year contract The Beatles had signed with EMI back in 1967 came to an end. 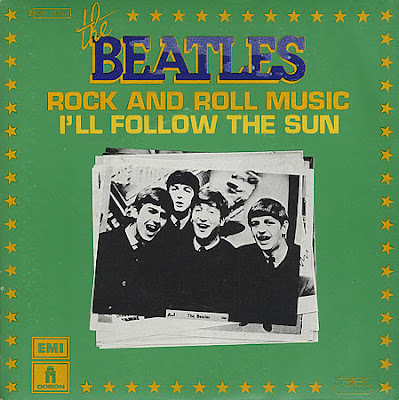 However, EMI retained the right to reissue anything it wanted from the old catalogue, and they weren't slow in seizing this opportunity. 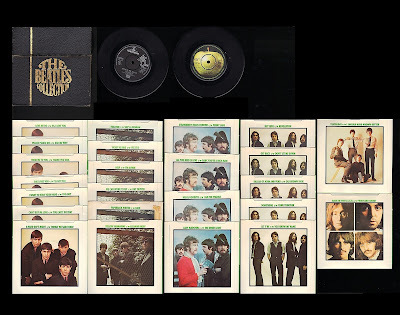 One month and two days later, on the 8th of March 1976, EMI re-released the 22 original Beatles' UK singles in new picture sleeves. 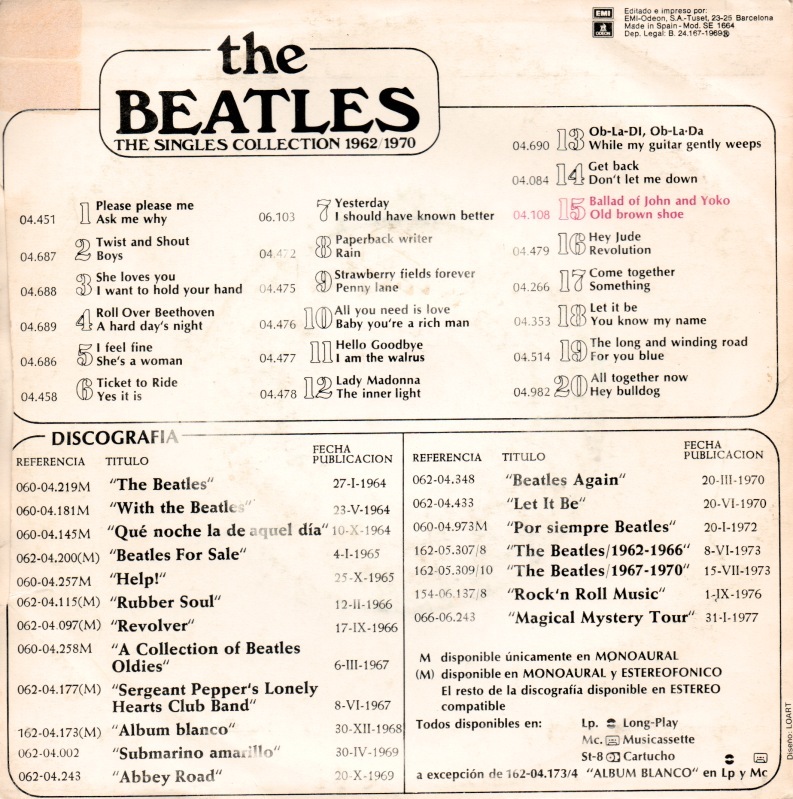 All 22 singles had the same design for the front sleeve but four different photographs on the rear. So, EMI quickly realised that the Beatles was a money cow they could still milk. 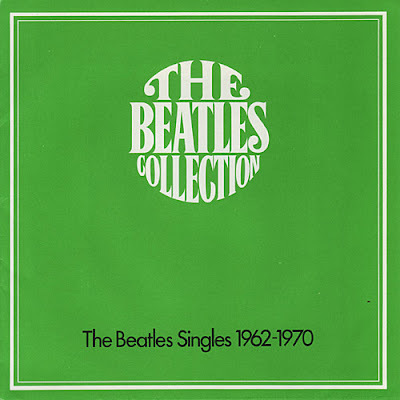 Further releases followed swiftly, with albums like "Love Songs", "Beatles Ballads", "Reel Music" etc, but we are concentrating on the green singles series in this blog post. 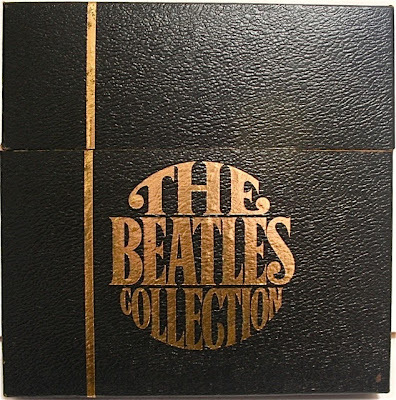 This collection was only for sale through EMI's mail order division, World Records Ltd. As this sold out, it was reissued with 24 singles, adding "Back In The U.S.S.R. / Twist And Shout (R 6016)", promoting the new "Rock and Roll Music" album. 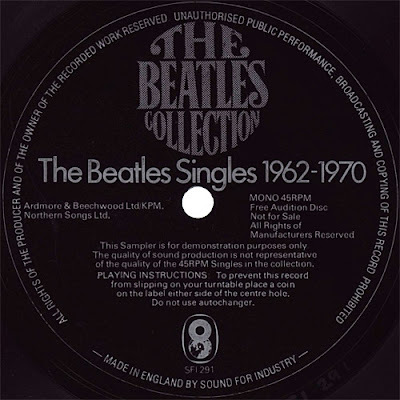 The 3rd Edition of The Singles Collection was issued in 1978. EMI again added a new single, "Sgt. Pepper’s Lonely Hearts Club Band / With A Little Help From My Friends/A Day In The Life (R 6022)", to cash in on the new RSO motion picture, "Sgt. 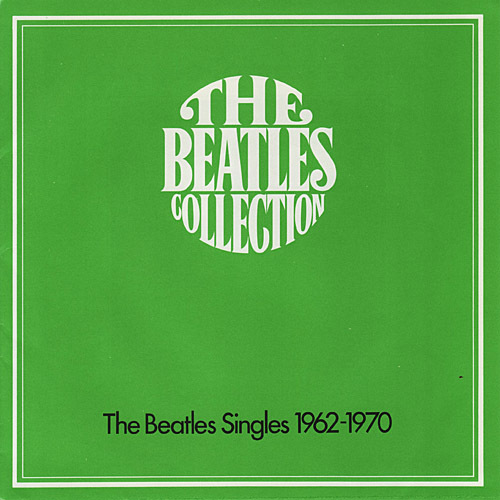 Pepper’s Lonely Hearts Club Band" - starring the Bee Gees and Peter Frampton. 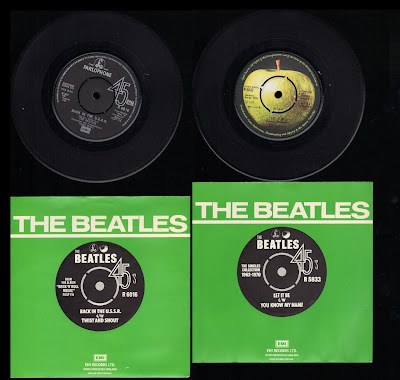 The Sgt Pepper single had a totally different design than the other green series singles, but was nonetheless included. 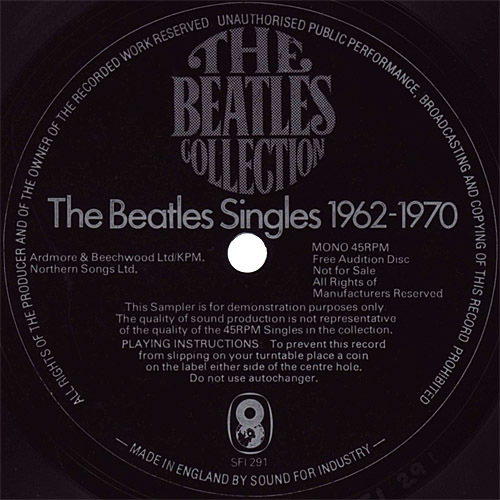 “The Singles Collection 1962 - 1970” was heavily advertised in the British press. In addition, a mailer was sent to World Records’ regular customers, containing an informational booklet and a promotional flexi-disc containing mono excerpts of songs from the collection. As with all flexi discs this is very much a promotional item and not produced for top sound quality. 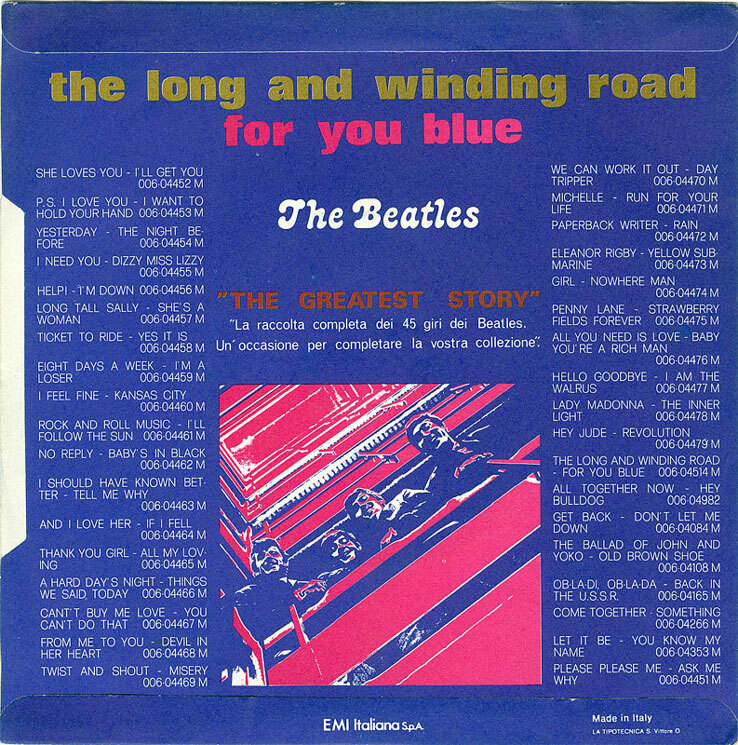 In 1982, the single covers were completely redesigned with a more individual look to each single and were released in a new, blue Beatles singles box, which ended the brief but profitable era of the green series singles. The green series sold in droves and are not rare at all. And since ebay arrived, it's fairly easy to pick up the box and the paper material as well. 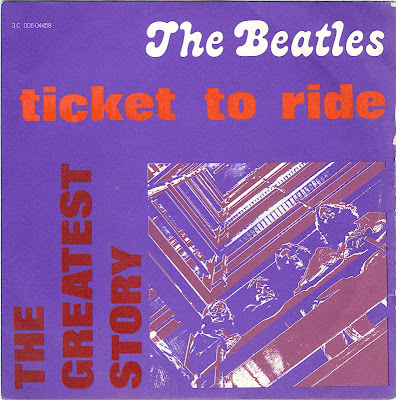 The promotional flexi-disc is just a little bit harder to come by, but not extremely rare. Inspired by the UK green series, EMI in other countries released similar Beatles singles collections. The Dutch series was like the UK green series, only in orange. 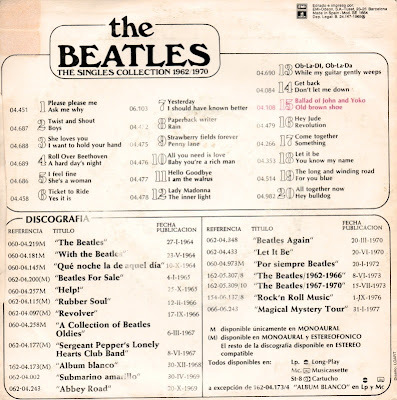 26 singles from the French singles collection were also pressed and released in Brazil. Fascinating. 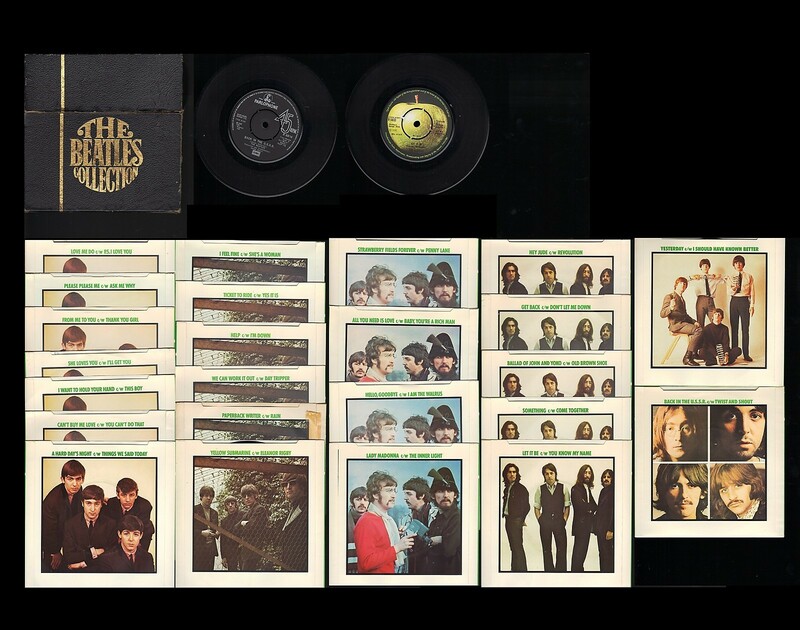 I seem to remember reading that some copies of the green singles had different label details, depending when they were pressed. I presume they would have come from the different editions of the box. 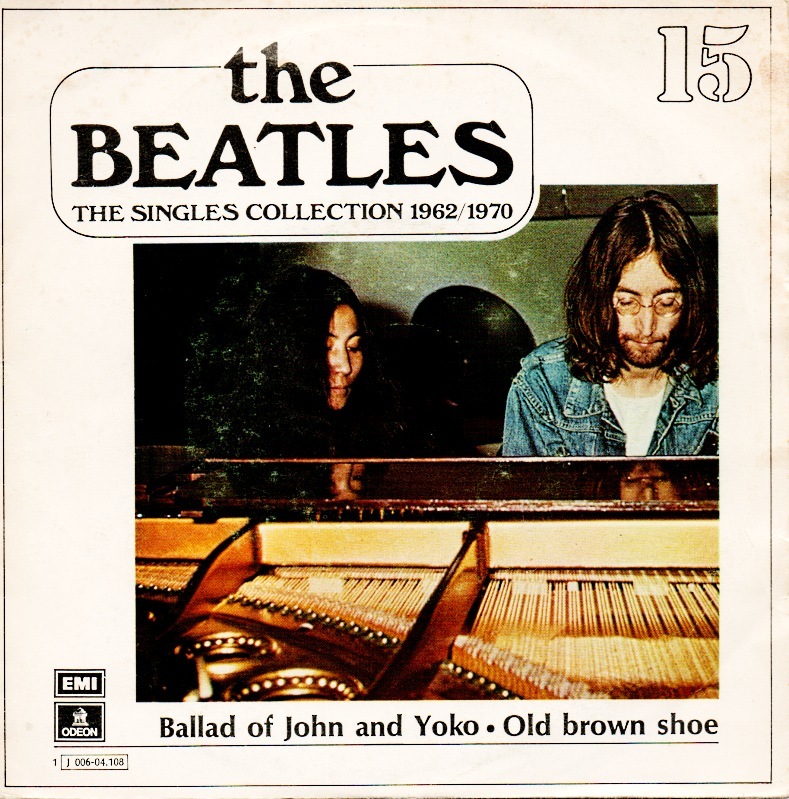 By the way, did you notice that Spanish single lists "Ballad of John and Yoko" before "Hey Jude". That's odd - I can't imagine they didn't originally release "Hey Jude" in 1968, but "Ballad of J&Y" came out almost a year later. I have the second issue Uk World Records 24 single set. R 5777 Get Back/Don't Let me down is miss-pressed. The B side label is correct however it has the McCartney song "I've Had Enough" pressed on the B-side. Check your set! I have heard there are possibly other miss-pressings with this set. If you know of any others please post the information. I'm curious to know what the the story is behind a set of UK singles I got from EMI around 1976 or so? 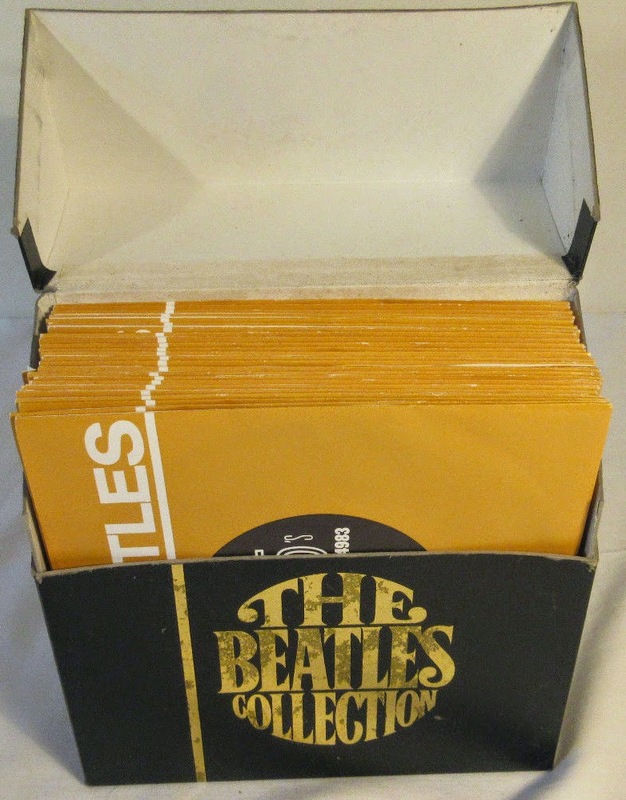 It's a set of 23 45 Parlophone singles in a salesman's cardboard box, each marked "NOT FOR SALE" as is the yellow cardboard sales presentation box that packaged them.